This year the National Association of Boat Owners’ AGM will be at the Beef and Barge at Bradford on Avon Marina on Saturday 17th November. Non-members are invited to the second half of the AGM starting at 12.30pm. 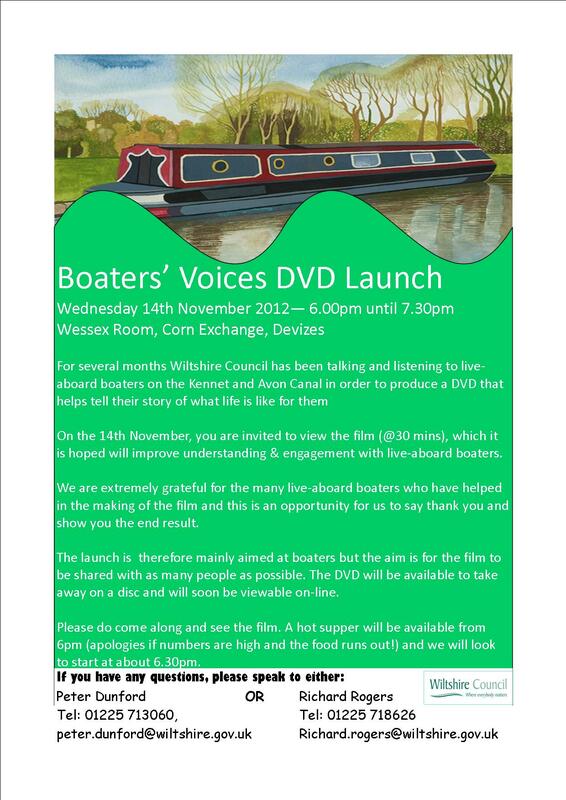 The next meeting of the K and A boaters’ action group will be on Monday 12th November at 7.30pm in a pub in Devizes. If you have time to do some work over the next few months (or longer) defending our rights as liveaboards; doing constructive things like towpath tidies; engaging in dialogue with CRT etc, then we would like you to be in the group. Several boats had their diesel siphoned in the Bathampton area late last week according to a boater who is moored there. At Devizes yesterday, a couple of boaters had their solar panel stolen. Towpath tidy Sat 10th November – please join in! There will be a towpath tidy this Saturday 10th November, organised by boaters. Please meet at Dundas wharf at 9.45am for a 10am start. The Kennet and Avon Canal Trust volunteers are also helping with this, and we will be using their work boat Vale of Pewsey to move the rubbish. Bring warm clothes, and work gloves if you have them – we have some gloves to lend as well. Rubbish bags will be provided.